I am so excited to be collaborating with BabbleBoxx to share with a round up of these too cool for school, school supplies! 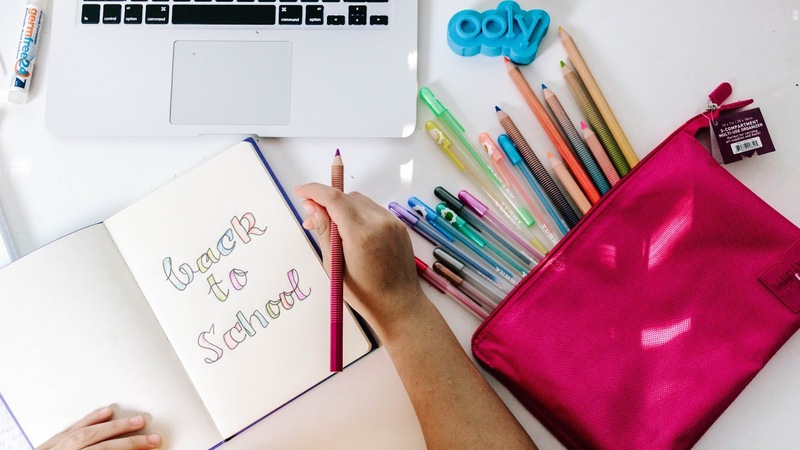 With back to school officially here I’m going to give you the low-down on some seriously cool gadgets and supplies for your little ones, and you might even want to keep a couple of these for yourself. 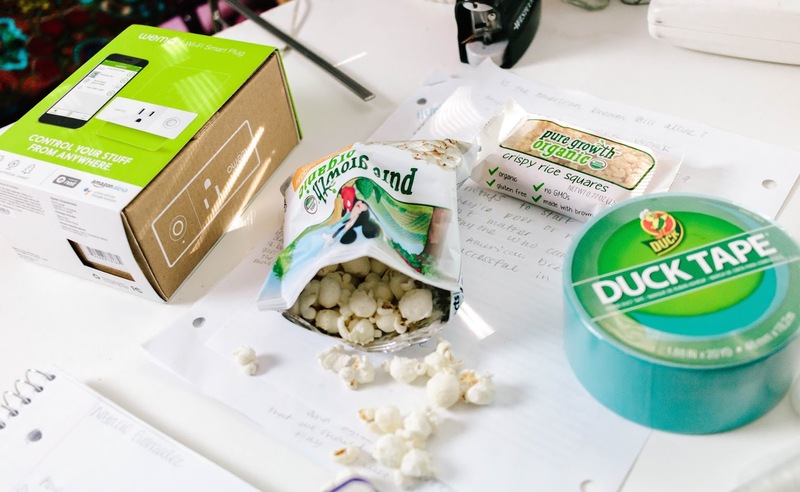 From smart plugs to organic snacks you’ll find it here. First, we have the Wemo Mini Wi-Fi Smart Plug, and this gadget is something that makes life a little easier for moms! With a convenient app on your smart phone you can turn any device on from anywhere in your home turning it into a smart home. Whether it’s your kids turning on a lap from the comfort of their bed or turning on the Crockpot from your phone when it’s time to cook dinner this handy little smart plug has a million uses and should be on your must-have items list for back to school. The super stylish and handy OOLY Zipper pouch with Jumbo bright neon colored pencils, the 2-in-1 Flip Side Notebook, Yummy Yummy Scented Gel Pens, and the OOLY eraser were probably the next coolest set of items that were on this list one because I remember when I was in school I flipped out over anything scented and cool zipper pouches! This handy zipper pouch has a mesh side and a thicker material side that feel like they could literally last the whole school year even if they see some tough love. I honestly am going to keep the 2-in-1 Flip side notebook for myself because I am obsessed with buying notebooks and this one has a lined side and an unlined signed that is perfect for the bullet journal I want to create! This could also be a cool way to keep open communication with your kids and let them freely open to you without the stresses of having to have a conversation. Tell them on side is for you and one is for them, and anything they feel like they want to tell you but don’t know how to say it they can write it down in the journal! Don’t forget about the germs! Always make sure to include a small hand sanitizer spray in your kiddos backpack or zipper pouch. The Zoono GermFree24 Hand sanitizer is a 24 hour, water based, and antibacterial hand sanitizer that won’t dry out your hands. In the small convenient spray pen you can buy a bunch of them and stash them in places like your diaper bag, purse, and buy a bigger one for your kiddos teacher to have in the classroom. You can never have too much hand sanitizer! 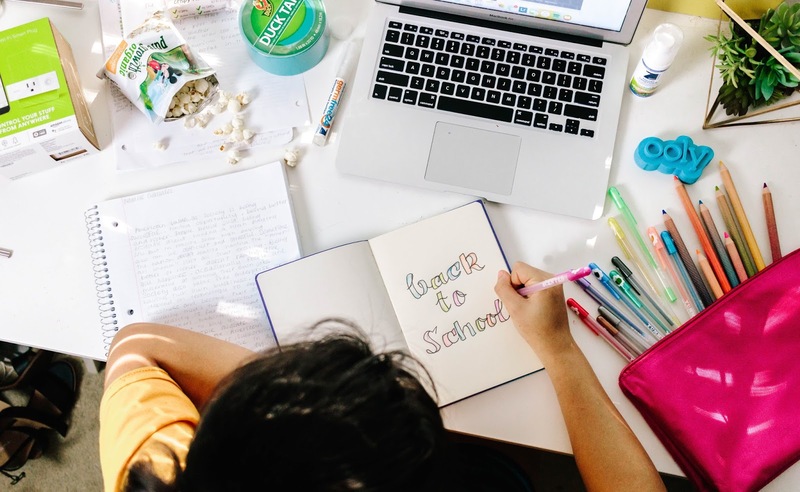 The absolute best part about going back to school is all the yummy snacks you have around the house, but I love to have snacks that not only taste good but are good for you too! The Pure Growth Organic Animal Crackers, White Cheddar Popcorn, and Crispy Rice Squares are the perfect lunchbox solution & after school snacks! The crispy rice squares are even vegan, gluten free, and made with brown rice. The Snip-its Tangy Apple 3-in-1 Conditioning Shampoo, Morning Miracle Mousse Styling Spray & Silly Slicker Ultimate Sculpting Gel are perfect for the wildest bed heads. They have an amazing apple scent and are professional and salon grade salon kid’s hair care products! Snip-its is formulated to be gentle on kid’s sensitive skin, hair, scalp and eyes and is allergen free. I know that my daughter has the most sensitive skin ever so finding a product that works on her crazy untamable hair but also is gentle on her scalp is a big win in my book. Duck Tape just opened a new portion of their website called Duck Tape Makers which is amazing because they share some super fun ways you can use duct tape in your day to day lives. Not only is Duck Tape a life saver, like this one time when I was in high school and my binder was falling apart and duct tape saved the day, but also a super creative and non-expensive way to jazz up anything you can possibly think of. What are your favorite school supplies to buy? Welcome to my little piece of the internet! My name is Ashley Segura from Houston, Texas. I am a Latina blogger with a focus on motherhood, food & style for the modern millennial. I am currently 23 years old & happily married to an amazing fatherhood & lifestyle blogger, Jeffrey Segura of The Daddy Style Diaries. Together we have a dinosaur loving 3 year old named Mila & are expecting our 2nd bundle of joy early October 2018! 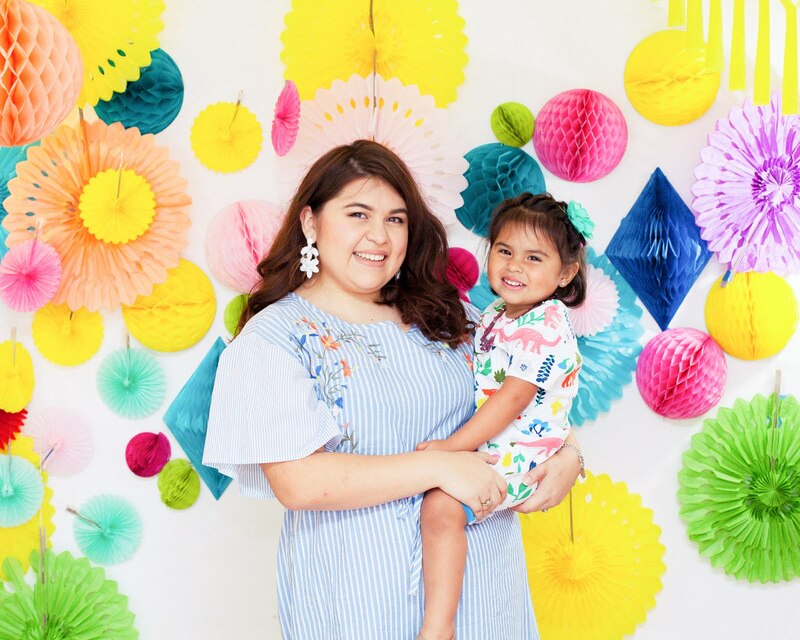 We pride ourselves in creating a positive narrative around being young Latino parents, and aim to erase any negative stigmas that may come from that stereotype. © New Mom in a New Era .